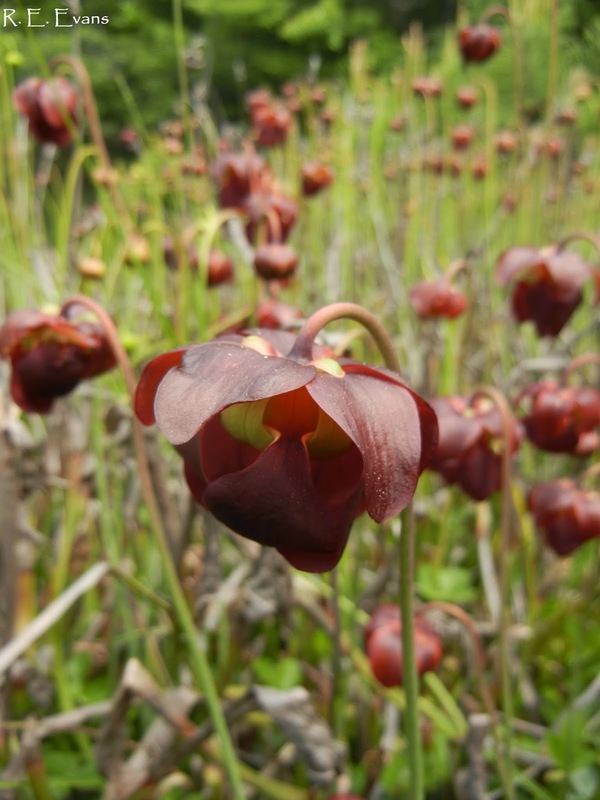 NC Plant Conservation & Beyond: Purple Mountain Pitcher Plants - New & Improved! 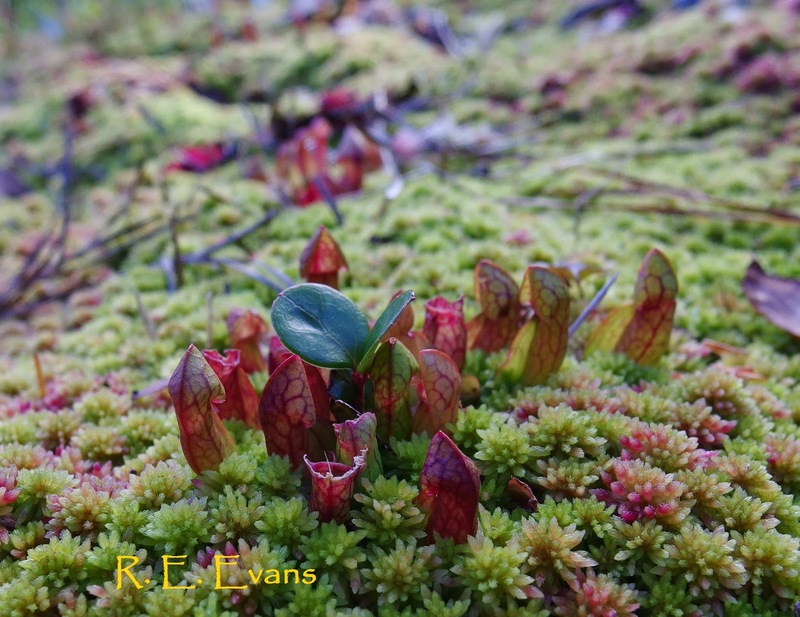 Purple Mountain Pitcher Plants - New & Improved! Purple Mountain Pitcher Plants occur naturally only in a small region of the southern Appalachians (western NC, adjacent SC and GA). There has been relatively little conservation attention focused on this narrow endemic, in part due to the relatively recent recognition of its distinctiveness. Schnell & Determann (Castanea 1997) published the new varietal status, thereby bringing needed attention to these unique plants. 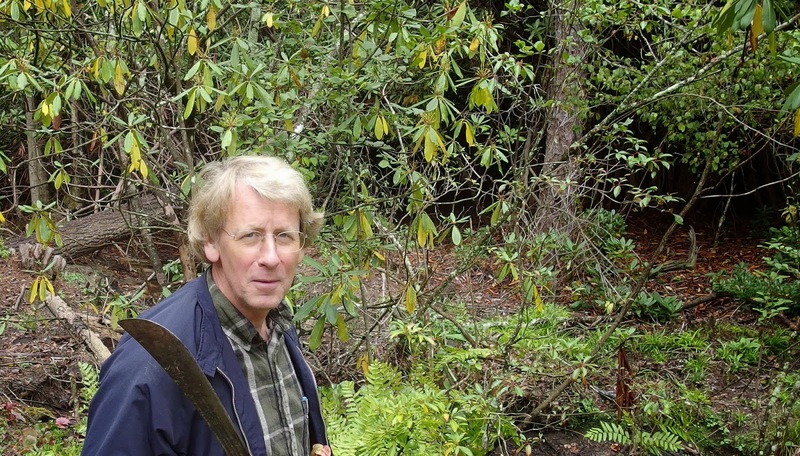 The NC Plant Conservation Program "protects" portions of two of the 8 known populations in the state (although perhaps more populations will become known as the NC Natural Heritage Program is just beginning to keep documentation on this plant for the first time (2014). shade lose vigor, diminish in size, and cease flowering. The example shown below displays etiolated leaves typical of shading. This clump is actually smaller than the surrounding Galax foliage and has little chance of flowering or trapping insects. The site where it occurs has been heavily shaded for 20 + years. 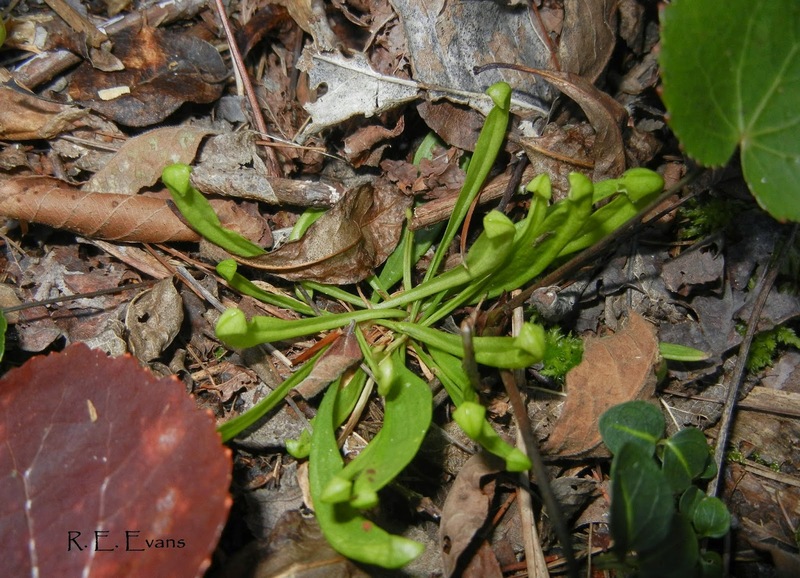 It is unclear how long an individual pitcher clump or rosette can survive in dense shade. Gotelli & Ellison (Ecology 2002) suggest rosettes may persist for 30-50 years, but this longevity is likely to be strongly affected by shading. In any case, the diminished vigor translates to loss of reproduction, perhaps a significant reason other known populations are much smaller. Our large population was almost certainly larger at one time. We have documentation that the pitchers were "once so plentiful they sold for 50 cents a piece". Even today, pitchers continue to be taken or poached hindering population expansion. The first image below shows where an entire rosette was taken (depressed area directly in front of the remaining clump). 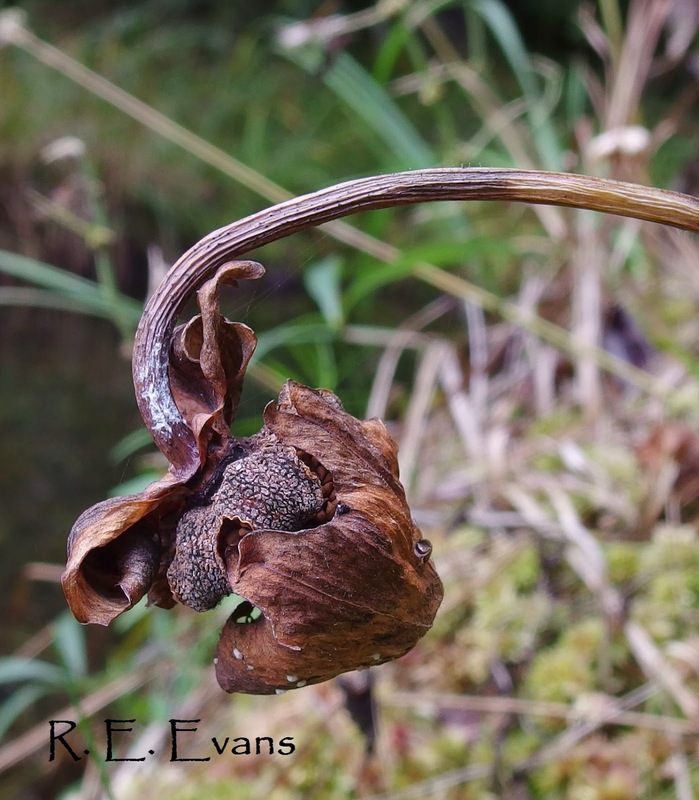 The second image shows a clump partially removed (note the bud forming). I guess in both cases the losses could have been far worse, eco-conscious poachers? In spite of the poachers, we have extensively re-opened the site by removing dense shrubs. Precise demographic data are lacking but we counted 32 flowers in 2012, 94 flowers in 2013, and 114 flowers in 2014. The majority of these flowers seem to be producing seed heads. 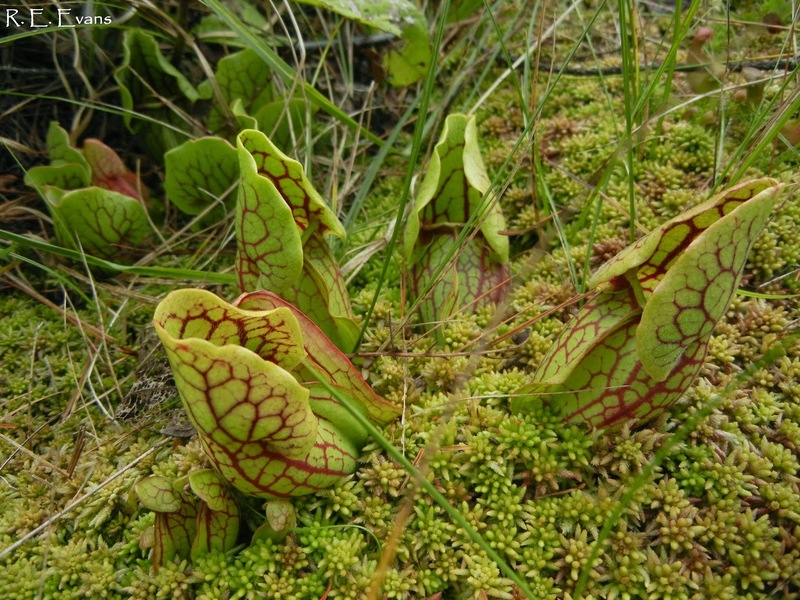 It has been estimated that Northern Pitchers produce approximately 1000 seeds per head (Gotelli and Ellison, Ecology 2002). Although germination rates may be low, if seed production continues the population could begin to rebound. In fact, on a recent visit Ron Determann pointed out a few true seedlings..... with luck, continued management, patience, and support of our local poaching community the population may continue to rebound!